I'll cut to the chase. If you're the breed of Opeth fan that refuses to believe the band has done anything of substance since their 2008 album, Watershed, then their latest album will not change that opinion. On the flip side of that coin, if you are, at the very least, unoffended by any of Opeth's post-Watershed material, then you would probably be interested to know that Sorceress is among the strongest of their recent output. With the recent transition from Roadrunner to Nuclear Blast Records, it seems that Akerfeldt and co. have found a new wind; maybe not the wind we've not so-secretly been hoping for for the past five years, but a welcomed one nonetheless. The album opens up with a charming acoustic guitar passage that slides into the album's title track. 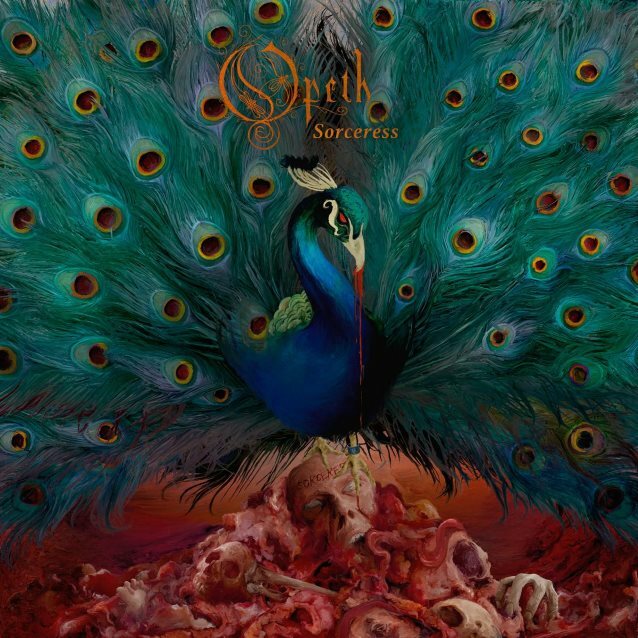 Being the first single released in promotion of the album, "Sorceress" was our first taste of what we could expect this time around from Opeth. With the keyboard's wonky organ sounds, Akerfeldt's clean vocals, and heavier guitar chugging, the track achieves a fine balance of quirkiness and melody; a description that is also telling of the album as a whole. The remainder of the album's first half follows a similar formula to the title track; offering a slew of catchy vocal hooks and fuzzed out guitar riffs. What really stands out about this album's first half, however, is the focus that each track boasts. While the sound Opeth is putting forward is what we've grown accustomed to ever since Heritage, the disparity sometimes caused between experimentation and striving for appealing song structures is better bridged on Sorceress. The back half of Sorceress is where Opeth starts to drown in their influences a tad much. Through the use of psychedelic reverberating guitar notes and regal harpsichord effects on the keyboards, tracks "Strange Brew" and "A Fleeting Glance" in particular offer strong resemblances to the early days of bands like King Crimson and Genesis. This isn't to say that it's necessarily a detrimental thing, but it is rather obvious. Both tracks still showcase some great solo guitar work, though. "Era" also closes out the album on an upbeat vibe that is best compared to "Slither" from Heritage; a vibe that the album's back half could've used more of. 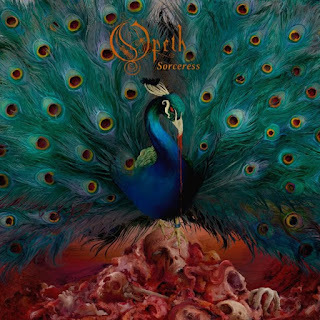 While it champions the progressive rock side of Opeth, Sorceress is easily the most complete offering the band has put together as compared to Pale Communion and Heritage. The guitar riffs, vocal melodies, and nods to the progressive rock giants of old mostly stall well balanced and provide a smooth listening experience from track to track. You can throw my name in the hat for people still clinging on to hope they return to the more metal aspects of their sound sooner rather than later, but Sorceress is still an album that can proudly stand as a part of the Opeth discography.